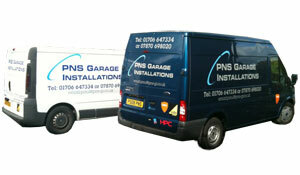 Based in Rochdale, Greater Manchester, PNS Garage Installations has been trading for many years. Under the leadership of Director Paul Summers, who has an engineering career spanning over twenty years, PNS Garage Installations is growing rapidly building up an excellent reputation as well as large base of satisfied customers. PNS Garage Installations’ head office is located in Rochdale, near to the M62, and offers the service and installation of workshop equipment to the whole of UK. PNS is Gas Safe registered, with engineers who have travelled worldwide to complete training in the latest workshop equipment including, RAV, Stenhoj and EWJ. Our goal is to exceed clients’ expectations by offering outstanding customer service, timely responses and excellent value for our sales, service and installation works. We offer flexibility (such as carrying out works during out-of-business hours), thus ensuring minimum disruption with maximum revenue for our clients. We are proud to call ourselves experts in the motor industry as our engineers are distinguished by their knowledge, technical expertise and qualified status. Combined with their hands-on experience they help to provide our clients with the effective and professional service which we are becoming renowned for. Unlike other workshop specialists, PNS Garage Installations offers a one-stop-solution for all our customers’ workshop and bodyshop needs. We supply, install and service all major manufacturers of garage equipment as well as installing gas lines, oil lines, waste oil management, extraction and workshop heating to name but a few of our expert services. Since we began trading we have built up a relationship with a number of dealerships and independent garages. We have done full workshop fit outs for many high profile, nationwide dealerships and service centres. We excel in project management from conception to completion allowing the customer to focus on the day-to-day running of their business during the transition period. In order to meet the individual needs of clients PNS employees maintain a wide range of qualifications. We utilise the very latest Computer Aided Design (CAD) systems and our team are fully conversant with Vehicle and Operator Services Agency (VOSA), Health & Safety and Building Control Regulations. 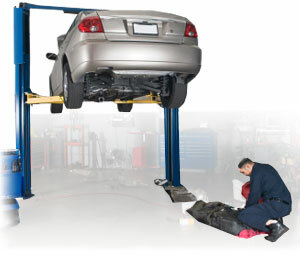 We aim to offer an unrivalled, same-day-breakdown service, at the most competitive prices. Exceptional service and technical expertise coupled with extensive industry knowledge makes PNS Garage Installations the ideal choice for your workshop needs.